CYLINDER KIT 240 BIG BORE WITH PERFORMANCE PORT TIMING. 12 PORT DESIGN- 72 MM BORE- 240 CYLINDER WITH HEAD AND ALL GASKETS ( JET KIT FOR STOCK CARB INCLUDED.) TRIPLE EXHAUST PORT FOR MORE ARM PULLING POWER. A DIRECT BOLT ON, NO CASE MODS. 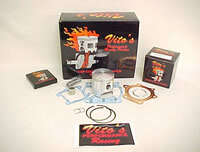 FORGED PISTON KIT 240CC BLASTER. REPLACEMENT PISTONS FOR THE FAMOUS BIG BORE KIT. TOP END KIT FOR BIG BORE 240CC. 240CC BLASTER BIG BORE HEAD GASKET. 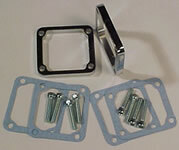 BLASTER FORGED SUPER STOCK TOP END KIT INC SMALL END BEARING & GASKETS. UP TO 5HP GAIN WITH NO ENGINE MODS. AVAILABLE IN MANY OVERSIZE OPTIONS. CARBON FLEX MATERIAL MAKES A PETAL THAT IS NOT TO STIFF SO YOU GET BIG TIME AIR FLOW AND BETTER LOW END ACCELERATION & HORSEPOWER. 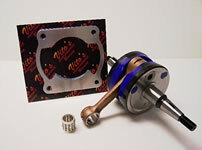 PROFILED BILLET CAGE ADDS 1.2 HORSEPOWER - FITS ALL BLASTERS. CARBON FLEX MATERIAL MAKES A PETAL THAT IS NOT TO STIFF SO YOU GET BIG TIME AIR FLOW-BETTER LOW END MORE ACCELERATION & HORSEPOWER ENOUGH FOR ONE CAGE. 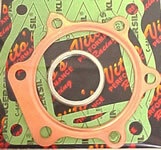 VITO'S CLUTCH KIT (INCLUDES FIBER PLATES-STEEL PLATES & SPRINGS). STROKER CRANK WITH STUFFER BLOCKS TO DECREASE CRANKCASE VOLUME FOR SUPER RESPONSE (includes spacer plate) ADDS 4 PLUS HORSEPOWER AND THROTTLE RESPONSE GALORE(NO CASE MACHINING REQUIRED). BOOST BOTTLE FOR BLASTER (STOCK MANIFOLD NEEDS HOLE DRILLED AND FITTING). INCLUDES GASKETS & STAINLESS BOLTS INCREASES LOW RPM RESPONSE. FLYWHEEL ADVANCE KEY 4 DEGREE. COMPLETE CRANK & TRANS CASE. 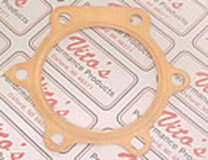 INCLUDES BLOCK OFF PLATE-STOPPER PLUGS-SIDE COVER GASKET & INSTRUCTION SHEET. BLASTER HIGH COMPRESSION TOP END KIT 1.2 H.P. 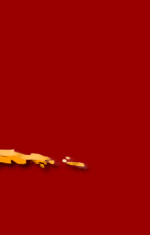 TOP END KITS INCLUDES HIGH COMPRESSION COPPER HEAD, BASE, REED AND EXHAUST GASKETS. FITS ALL YEARS & WILL INCREASE CRANKING PREASSURE 10 LB. COMPLETE WITH CABLE, CAP AND IDLE KIT WITH TAP AND DRILL. ALLOWS YOU TO ELIMINATE YOUR THROTTLE OVERIDE BOXES (TORS).COMES WITH EVERYTHING YOU NEED BETWEEN THUMB CONTROL & THE TOP OF THE CARB BODY. 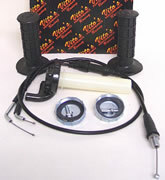 CR STYLE TWIST THROTTLE KIT WITH CONTROL-CABLE-BLACK GRIPS AND TORS CARB CAPS. BANSHEE-FLYWHEEL ADVANCE KEY 4 & 7 DEGREE. ALL BILLET ALUMINUM SHOW CHROME. Avail for Blaster, Banshee, YFZ450 and Raptor660.